And it is crazy easy to make. So I call this a win-win. 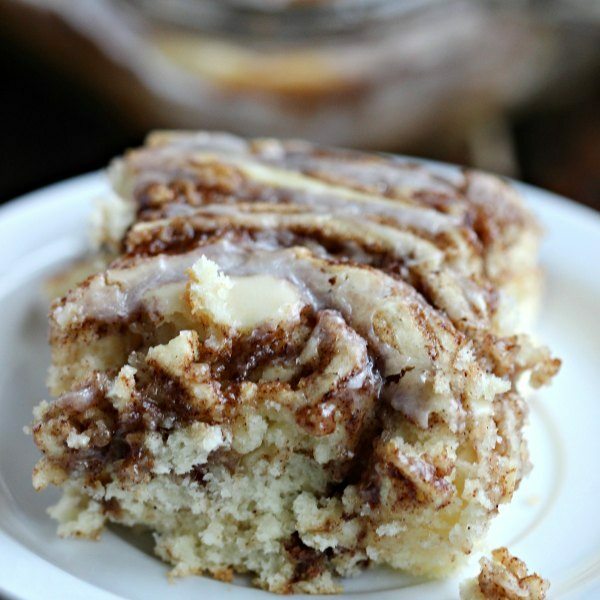 Try this Coffee cake recipe today! 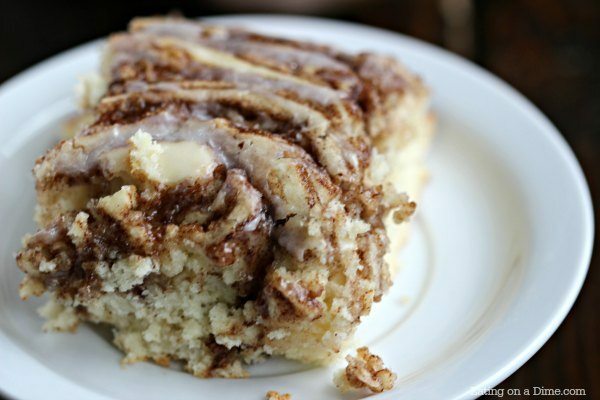 Who doesn’t love a good coffee cake? 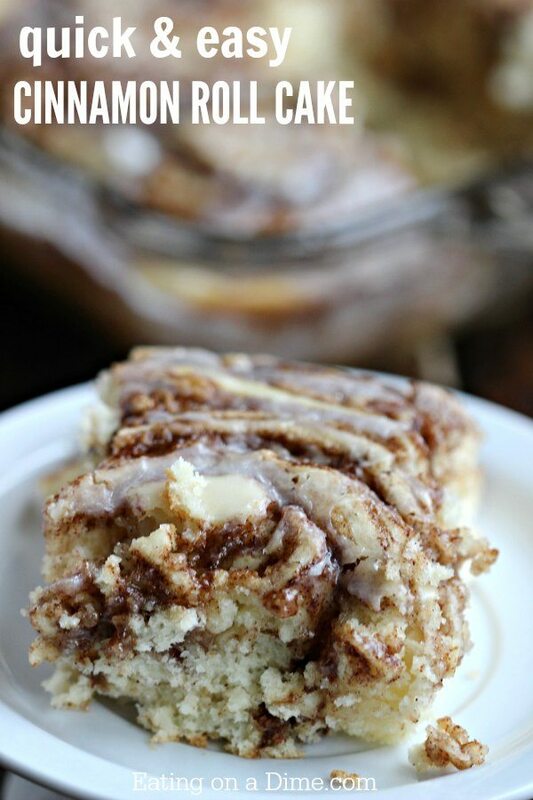 You are going to love this fun twist to a traditional coffee cake recipe. 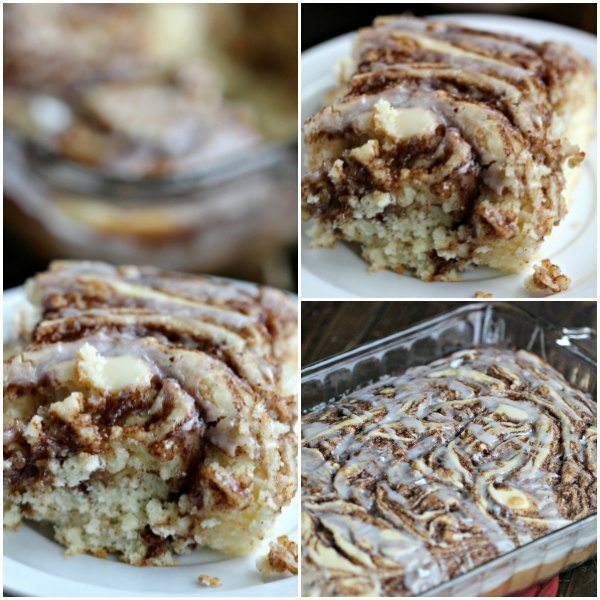 You can eat it with breakfast since it has the words ‘cinnamon roll’ in the title. 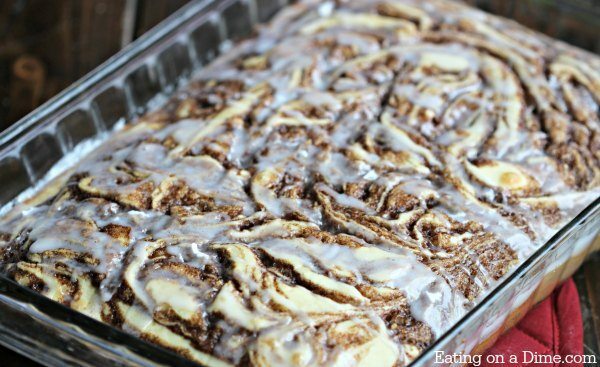 This also makes a good dessert after other meals if you can’t bring yourself to eat ‘cake’ with breakfast. 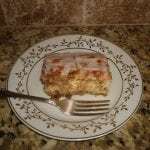 Either way, this is a moist and delicious cake. Don’t be scared off by the long list of ingredients. I bet you have all of them in your pantry now. Enjoy! Preheat oven to 350 degrees F (175 degrees C). Spray a 9 x 13 pan with non stick spray. 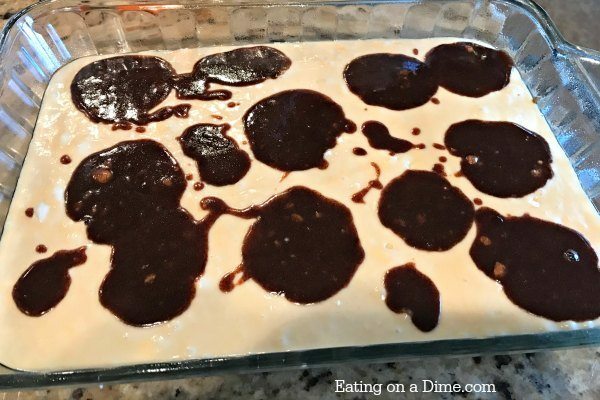 In a large bowl, mix everything together for the ingredients of the cake. For the topping, mix all of the ingredients well in a small bowl. 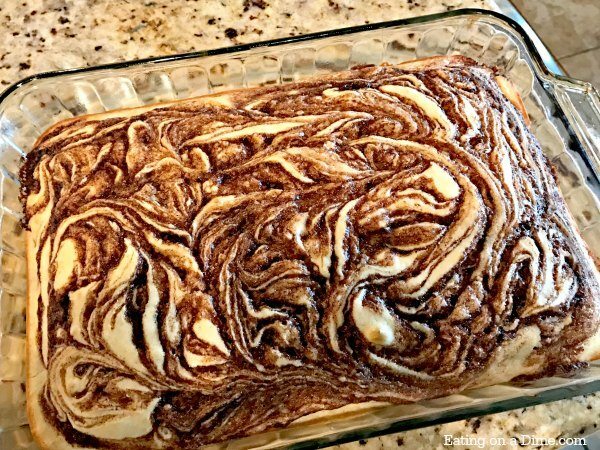 Drop spoonfuls of topping on the batter and then swirl it around with a knife. 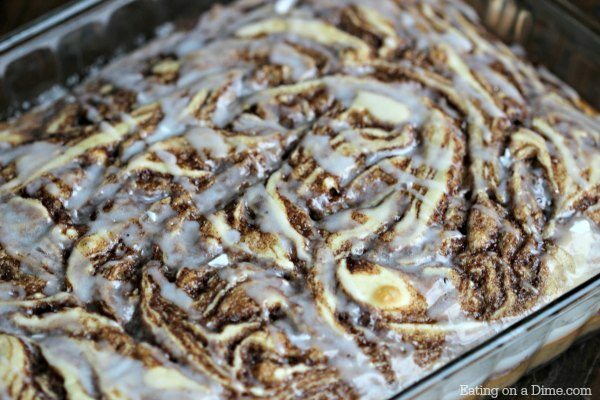 If your topping isn’t runny that is ok, you can still swirl it around and it will still taste great! 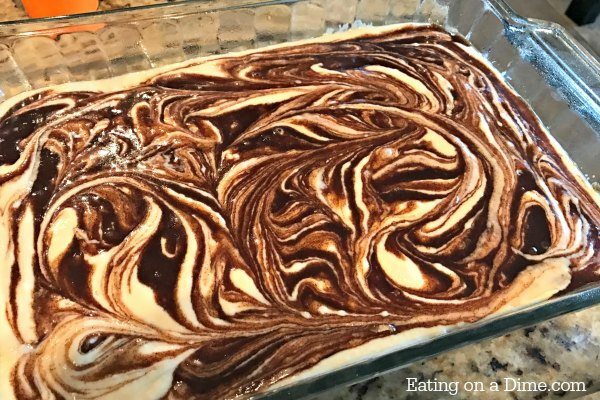 Drop spoonfuls of topping on the batter and then swirl it with a knife. 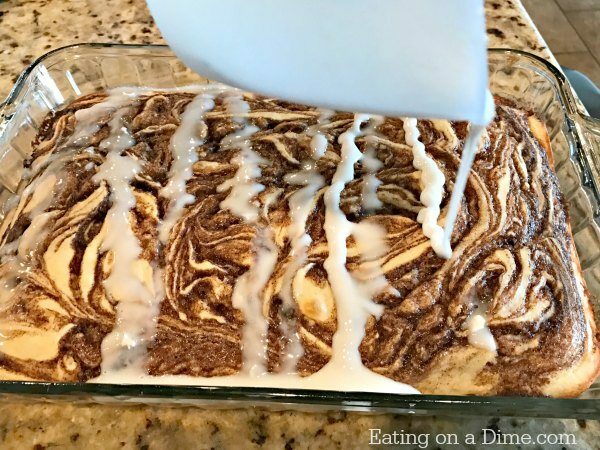 0 Response to "EASY COFFEE CAKE RECIPE – THE BEST CINNAMON ROLL CAKE RECIPE"